Back to the beginning - monemades Webseite! The Irish at Heart pattern - available for individual download here and as part of the Irish at Heart collection here - comes with an extra page explaining how I calculated the number of stitches and with some general ideas for the use of a self-striping yarn - for all you adventurous knitters out there! 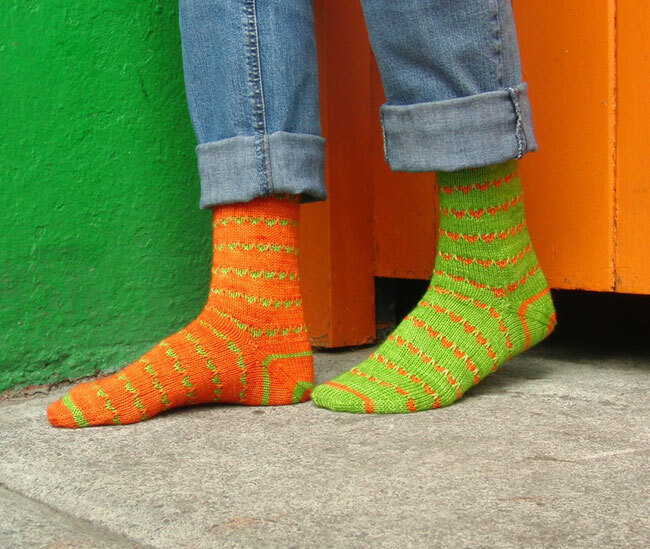 With today's post you've seen and read all there is to tell about my new collection of sock patterns, so I'll return to my knitting needles to have some more new patterns to show soon.